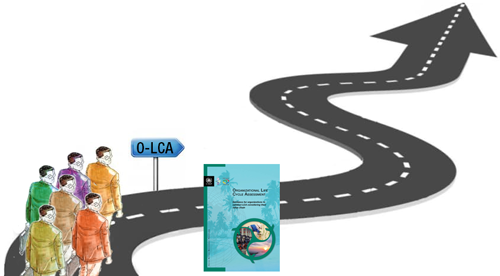 Since the launch of the “Guidance on Organizational Life Cycle Assessment”, the document and the methodology itself have undergone a road testing process. The road testing phase is a key step of this flagship project as it will proof the usefulness of the methodology and identify main difficulties and drawbacks. Furthermore, adding more experiences on the application of this type of approaches will promote its further use. Over the last months, the road testers focused on the initial step of O-LCA application, the scoping phase. They devoted efforts to mapping and preparing the ground for data collection. This resulted in the first milestone of the road testing. The road testers delivered and discussed with the secretariat what we have called the “Report I: The scoping phase and first outline of the assessment”. Apart from these case studies, some additional organizations have joined the process during the last months and some more are very close to doing it. Overall, we expect to have a representative group of road testers from different: sectors, we plan to add at least one case study from public sector; regions, three continents are already represented; sizes, there are examples from 5 to 7,000 employees; and with a diverse experience on the environmental field. We would like to thank all the road testers and contact persons for their leadership and dedication to the project during the last months.